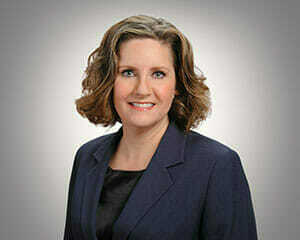 Elizabeth McMahon Pentz, an associate with McWhirter, Bellinger & Associates, P.A., joined the firm in October 2006. Ms. Pentz works primarily in the firm’s Lexington office and practices in the areas of litigation, automobile accidents, workers’ compensation, wrongful death, and all forms of personal injury. She received her B.A. from the University of South Carolina in 1996 and her J.D. from the University of South Carolina School of Law in 2000. During law school, Ms. Pentz was a law clerk for Jack B. Swerling, Esquire, and James C. Anders & Associates. She was admitted to the South Carolina Bar in 2000. Following law school, Ms. Pentz was a law clerk to the Honorable Ernest J. Kinard, Jr., Circuit Court Judge for the Fifth Judicial Circuit, from 2000 until 2001. Ms. Pentz served as an assistant attorney general at the South Carolina Attorney Generals Office from 2001 until 2006 and represented the state in various civil and criminal matters. Ms. Pentz is admitted to the United States District Court for the District of South Carolina and the District of Columbia and the United States Court of Appeals for the Fourth Circuit. She is a member of the South Carolina Bar Association, the Richland County Bar, the South Carolina Trial Lawyers Association, and the Association of South Carolina Claimant Attorneys for Workers’ Compensation.